"The mission for daiseye is to offer unique earth-friendly and/or fair trade products to our customer while educating shoppers about the importance of global responsibility." 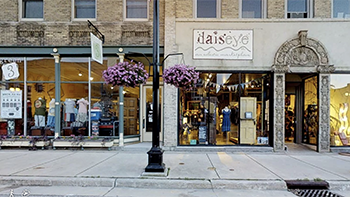 daiseye is an eclectic marketplace offering fair trade & earth-friendly products, clothing, accessories and gifts to enhance you and your living space. Here you will find treasures of simple beauty created from materials such as reclaimed wood and tin, recycled glass, and organically-grown herbs and fibers. In everything daiseye does in our daily life and offers as products to our customers we adhere to our core principles. You can reach us via email at info@daiseye.com or by telephone at 920-295-3481.